Really looking good. Thanks for sharing your progress on this character. Thank you my friend! Learning and sharing is one of my greatest pleasures I have! Let's continue with the Face of Bruuna! Much work! Finally the face of Bruuna ready. It is impossible to publish step by step with details. Body and Head, was injected into Genesis - Base, about 100 times. 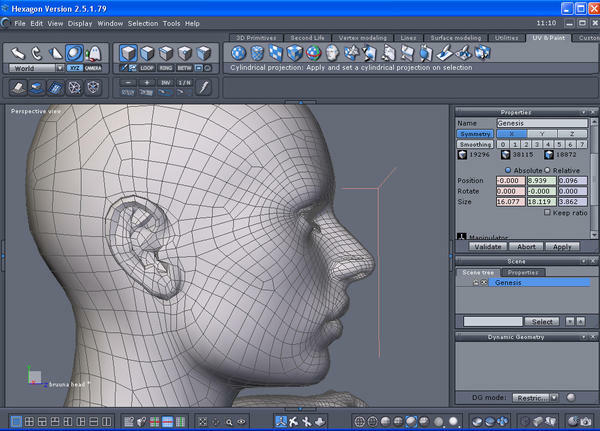 Where the character posed, by detecting defects in geometry and returning to the Hexagon to fix. Anyway I think it's an idea of the work I have done. Now let's inject the Morph in Genesis - Base. And correct name. 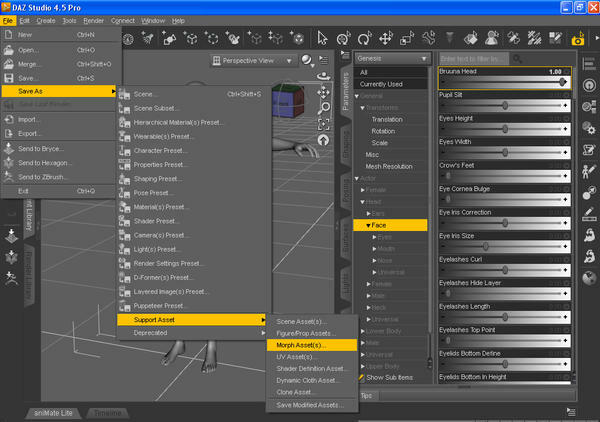 correct, we will configure parameter settings. You can save it as a document that you can read and edit as if made ​​with a Cr2, or you can save it compressed. Daz will save everything in this folder. 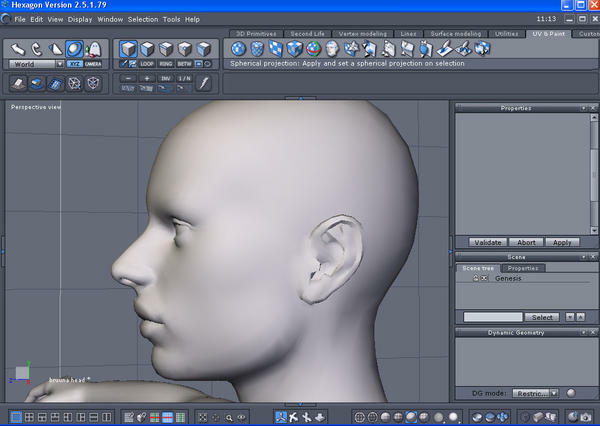 How is a custom character, I delete more than 200 document for Genesis, and just stay with the My Document: FHMBruuna Head. Only what matters to me, where the deltas are saved / Geometry my morph. 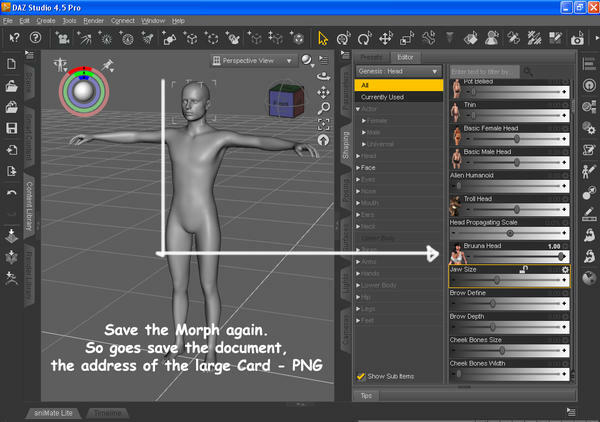 Apply the card large in PNG, in parameters settings of my morph. Ok, Bruuna 2.0 to Genesis, is ready. FBM - Full Body Morphs and FHM - Full Head Morphs. In case to conform, the skeleton of Genesis, in my character. Anyway Bruuna 2.0 for Genesis. PS: Coming Soon for everyone. I can't wait! She looks amazing. My Christmas gift to all of you! 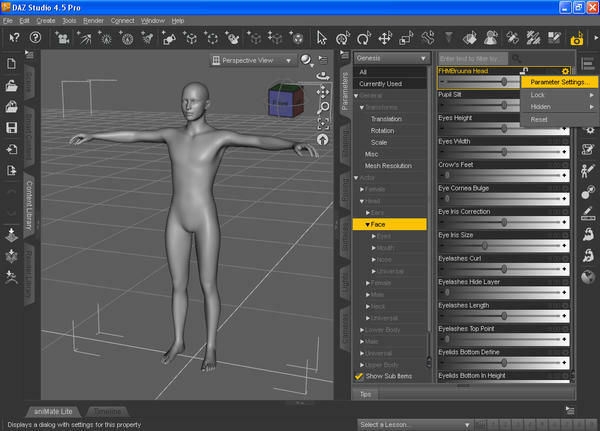 I have a question vital to DAZ3D. If my character is morphs created by me. Can I file for save "duf" as a propfigure, so where does it come with bones adjusted to their proper shape. how to distribute it legally. Why save in PropFigure - duf ? - Just because the character just comes with the bones set adjusted. 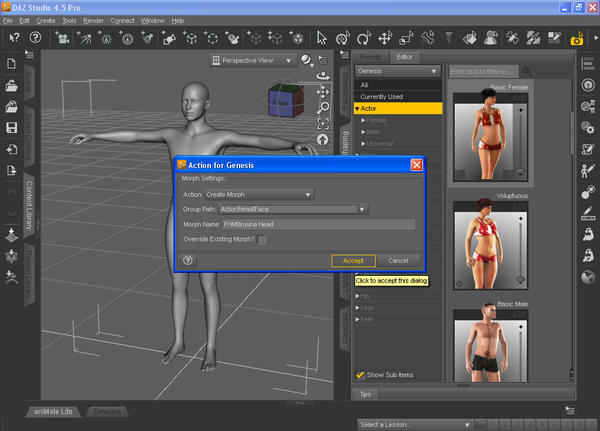 I can not save the bones with my character set of sliders. Help me my Friends moderators. Roberto Melo, if I understand your question correctly it's that you want to know why it is you save a morph to a separate file? 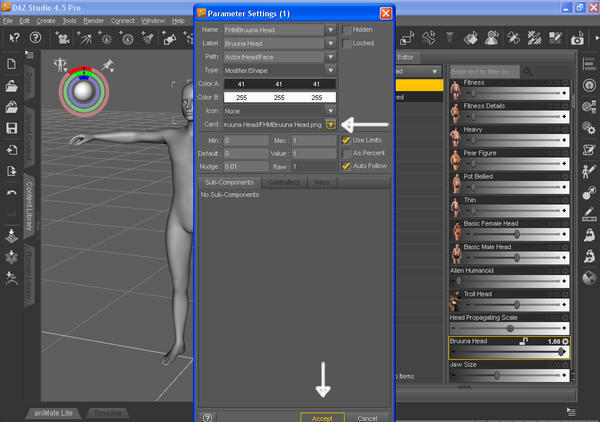 The answer is this: so you can, yourself, use it on other characters, and so you yourself can distribute your custom morph. 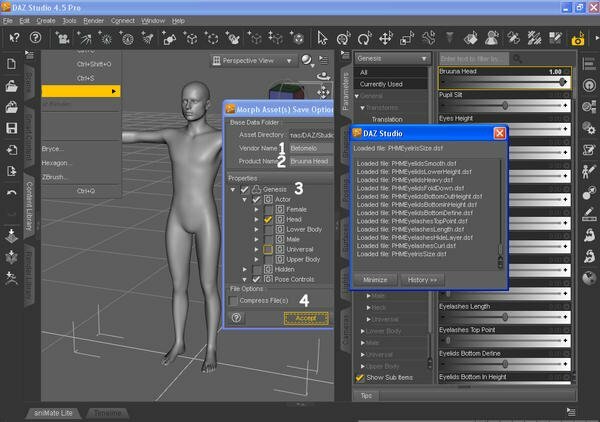 If you do not Save As: Support Asset: Morph Asset, then you will have it embedded with one single figure. That can be a good thing if that's what you want. It will mean your character file will be a whole lot bigger, though. 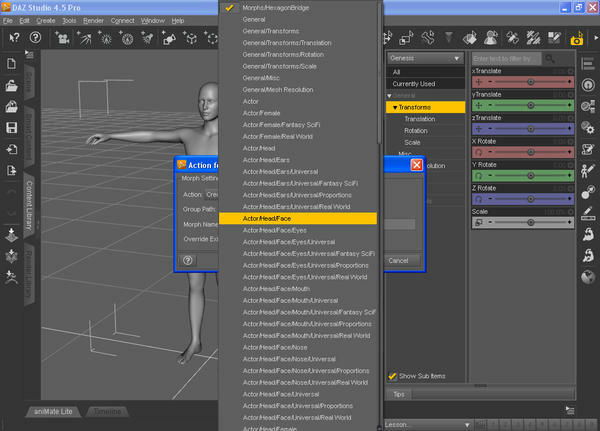 Only files saved using Save As->Support Asset->Morph Asset can be distributed. 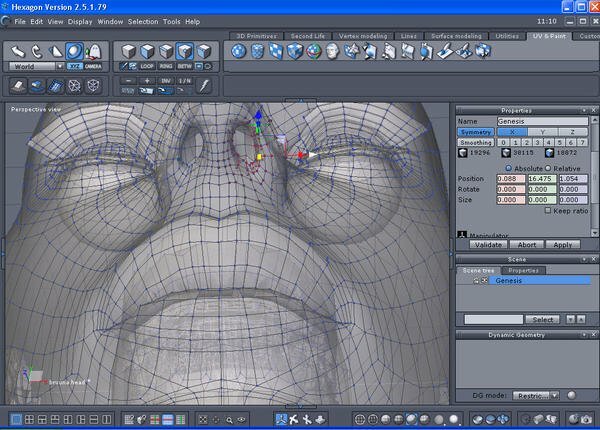 On a related note, you have to use "Reverse deformations" in the morph Loader Pro option to create of morph of only your changes. 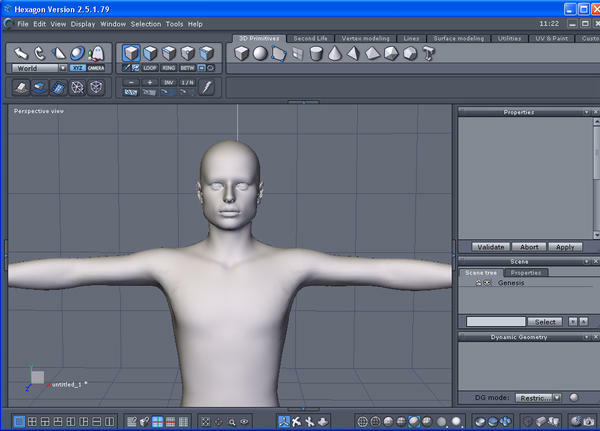 For example if you make a morph for M5, you have to have the M5 morph active, then use morph loader pro to load your morph against that, using the "Reverse deformation". That will create a morph of only your changes. Then when you save that morph, you can distribute it and will require people that own M5 in order to use your morph. It's hard to communicate with an English translator, please excuse me. 1 - The character was created entirely with custom morphs. The character is my creation and I distribute it, when, and where you want. This is already my creation. 2 - Done I saved the character, morphs assets (s). 3 - The morph works with all the figures, but the skeleton and scruffy. 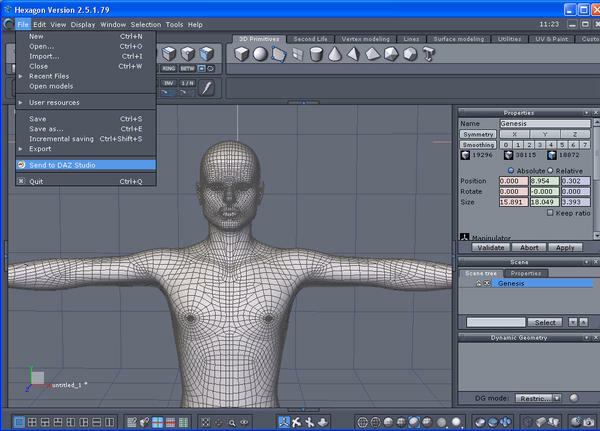 Always have to use the command: "Adjust rigging to shape." 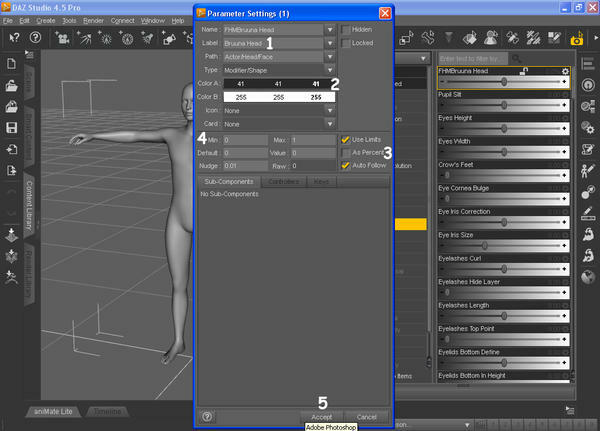 4 - The only way I could save my character, is lined with the bones of the form: Figure Prop Asset. 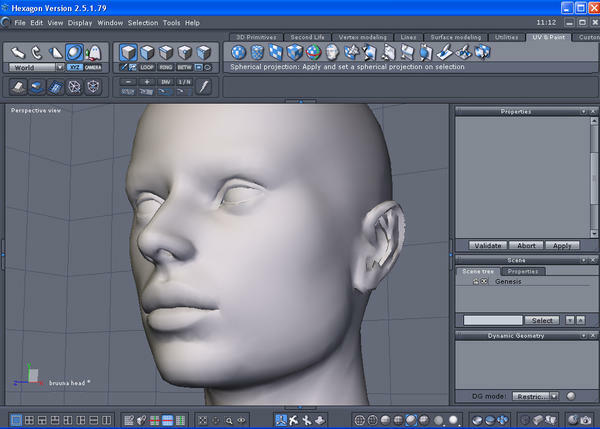 Just as it is the characters of DAZ3D, distributed with DazStudio 4.
the document created when I saved as Morph Asset (s). 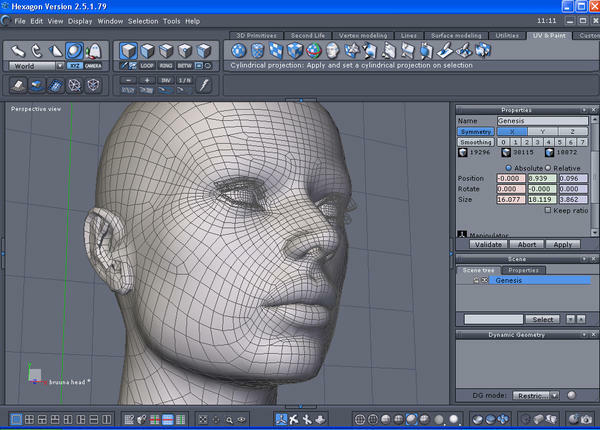 6 - The problem is that saving a Figure Prop Assets. This also saves the documents of Genesis. Along with my Figure. Without these documents to my figure, it not works with the basic morphs, and accepts no morph of Genesis. 7 - These documents Genesis Base can be distributed, with my Prop Figure assets?? That is the question. 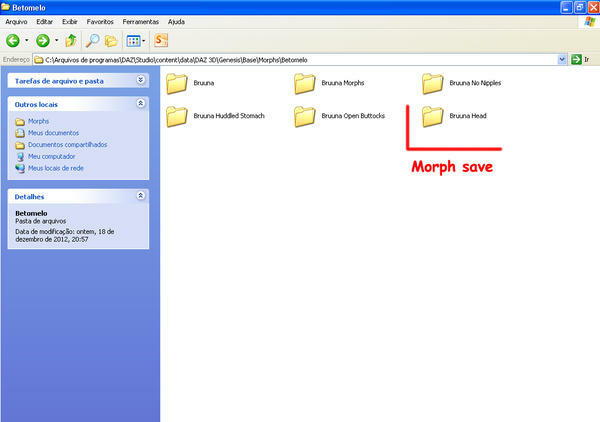 You not only need to save the morph, you must also save the Character Preset. And then send it to a friend to test it to make sure it all works. You will find the character preset wherever you saved it. I would recommend saving it under My Library/People//Genesis/Characters/ (with a Sub Folder like Bruuna or whatever). Nice work, by the way. The figure looks fantastic! 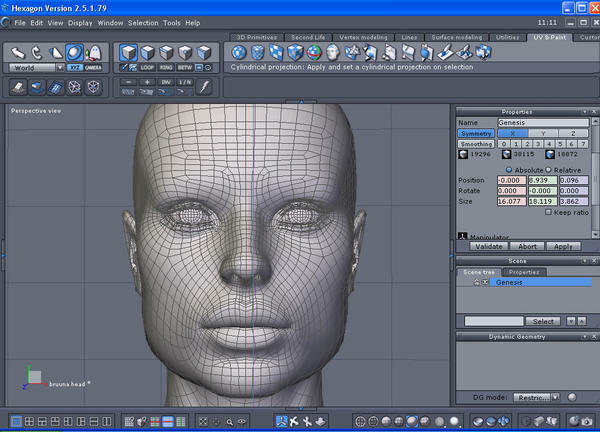 When you loaded your custom morph using Morph Loader Pro, did you select "Reverse deformations"? if you did not, that is incorrect, because it saved Genesis information with your custom morph and you cannot distribute your morph like that. 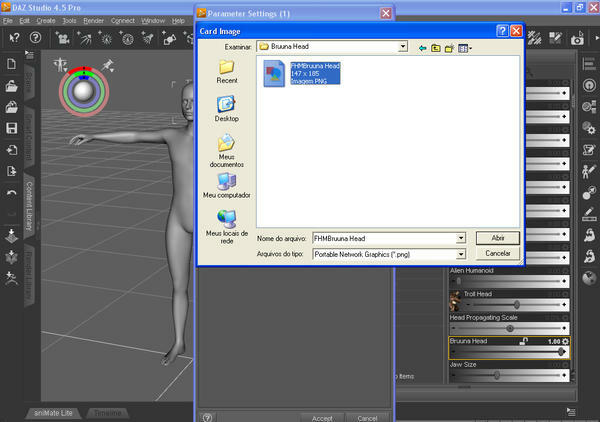 You have to load your morph with "Reverse deformations". If you adjust the rigging, you have to use the Property Editor and "ERC Freeze"... this will save your rigging changes to a morph dial. Save this as a "Morph Asset" and you will not need Prop Figure. 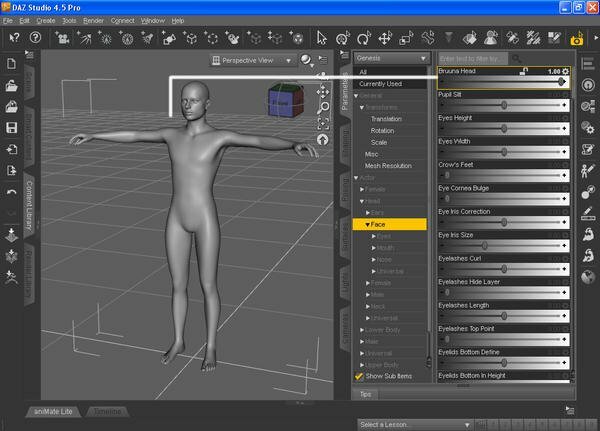 When you finish, you will have 2 morph files: 1) your custom morph and 2) a file that controls the custom morph and the adjusted rigging. I'm not at my computer to make pictures, so maybe someone can help explain it better. 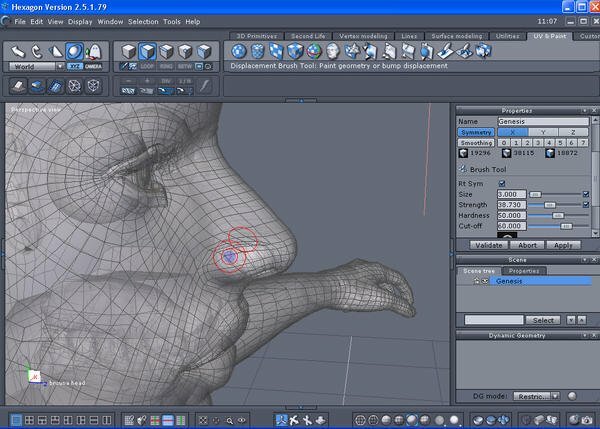 I always just use this video for saving a morph http://www.youtube.com/watch?v=BI-a9XiXBNM it doesn't matter where you made the shape the principal is the same, adjust the rigging and do the erc freeze then save as a morph asset, ( file/save as/Support Asset//morph asset.....) then it doesn't need anything other than daz studio and genesis to work. 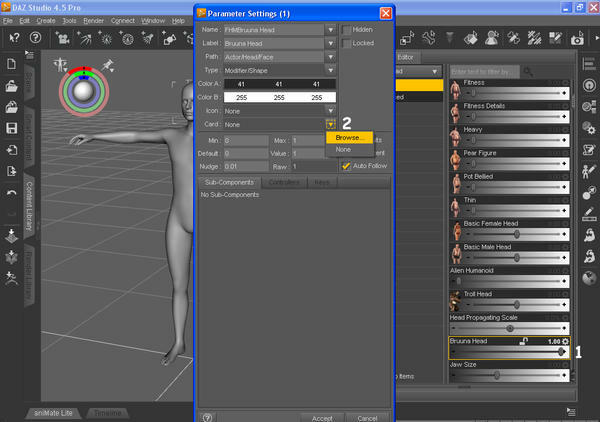 Thanks Beto... for this exclusive tutorial !! !